Planning a date night but exhausted all your usual options? We’re here to help. The city has a handful of brilliant – but more undiscovered – watering holes that have opened their doors recently, perfect for a romantic evening with your significant other. 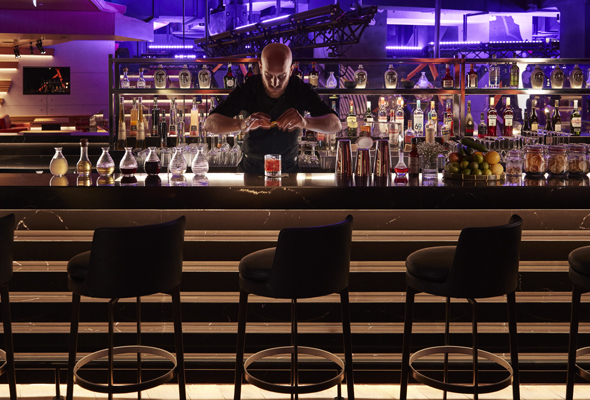 So whether you prefer 1920s prohibition or a sleek alfresco rooftop, check out one of these brand new date night bars in Dubai. Inspired by 1920s Cuba, Havana Social Club aims to take guests back to a glamorous time of jazz-filled nights and smoky cabaret clubs of the prohibition era in Havana. 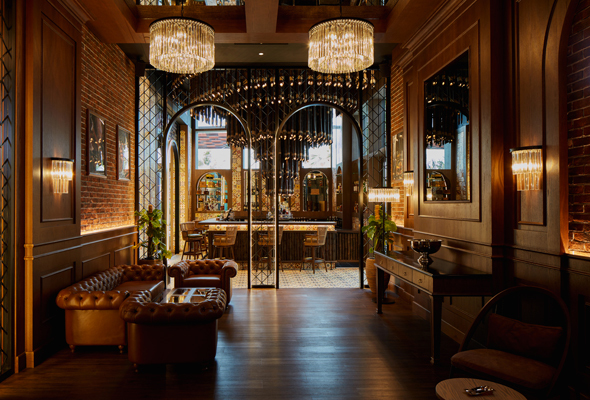 On the menu, guests can expect a mix of Cuban bites, cocktails inspired by recipes from the 1920s, live music sessions and a curated Cuban cigar collection. Netsu is a sleek new Japanese steakhouse that’s recently opened its doors in the new Mandarin Oriental Jumeira, Dubai. But it’s not just home to prime cuts of quality meat. The split level space is also home to a sultry upstairs lounge perfect for an aperetivo before dinner or date night drinks. 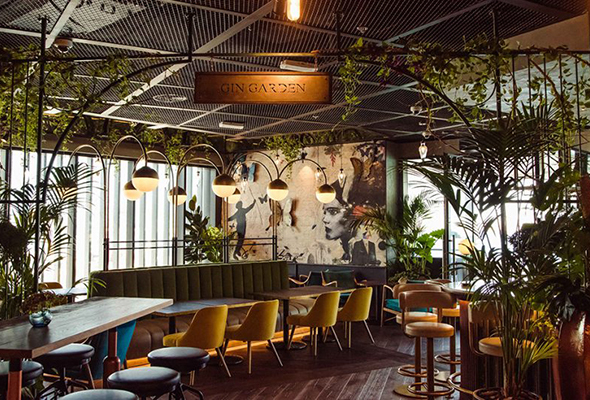 This leafy, split-level restaurant and bar is inspired by an English country garden, with floor to ceiling windows that make for a fluid indoor/outdoor space. Found right under the wheel of Ain Dubai, pull up a seat by the bar or gaze out over the city skyline from a perch on the terrace and make your way through their inventive menu of international eats and serves. 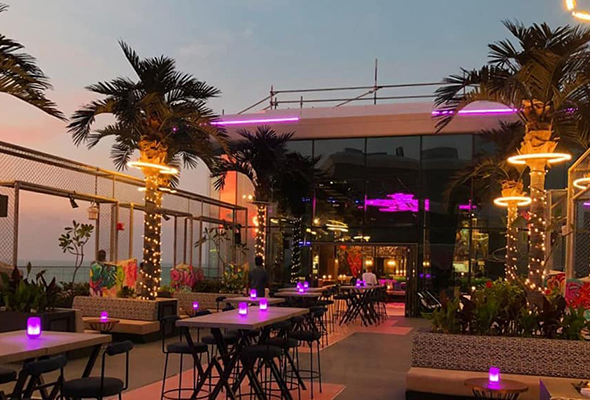 Dubai’s trendiest new rooftop bar, SoBe, is a brilliant spot for sundowners. The playful spot boasts both indoor and outdoor seating, with options to sit at bar tables for two facing the ocean or cosy booths that gaze out at the striking Dubai skyline. As word spreads of this brilliant bar it’s already getting busy, so book ahead to bag the best seat. 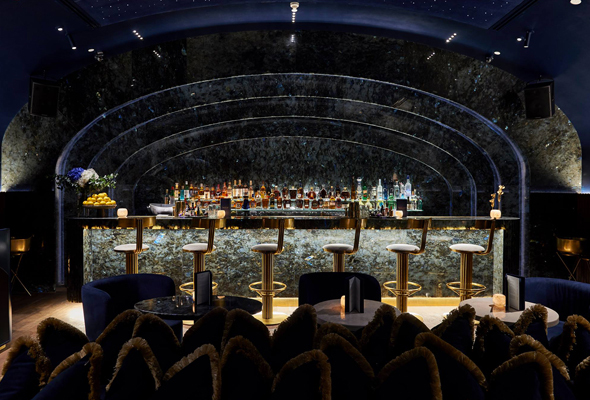 Galaxy bar is adjacent to Avli by Tashas, the new Greek eatery in Four Seasons DIFC, and it’s one of the most aesthetically stunning watering holes we’ve seen in the city. It’s vibrant yet intimate, with dim, romantic lighting bathing in deep blue velvet walls that merge into the ceiling, broken up by gold accents. It seats only around 50 guests, but you’ll pay for the privilege of a table here – reservations come with a minimum spend of Dhs2,500 per couple.